I got my Muddy Fox Courier in June off minifreak after he built it up for me in may as i wasn't in the best of health for quite a few months so minifreak kindly did a wonderful resto which is really appreciated and while some of you wonder why i call this my Unicorn and not somthing far more exotic lets just say this is the one i nearly had bitd but couldn't afford it any way i'm really pleased with it even though i've only just this week been able to enjoy it due to an improvement in my health and if i'm honest up until now i've never had a mtb that's fitted me so well or been such a joy to ride as each time i go for a short ride i don't want to come back home as it feels that good .. 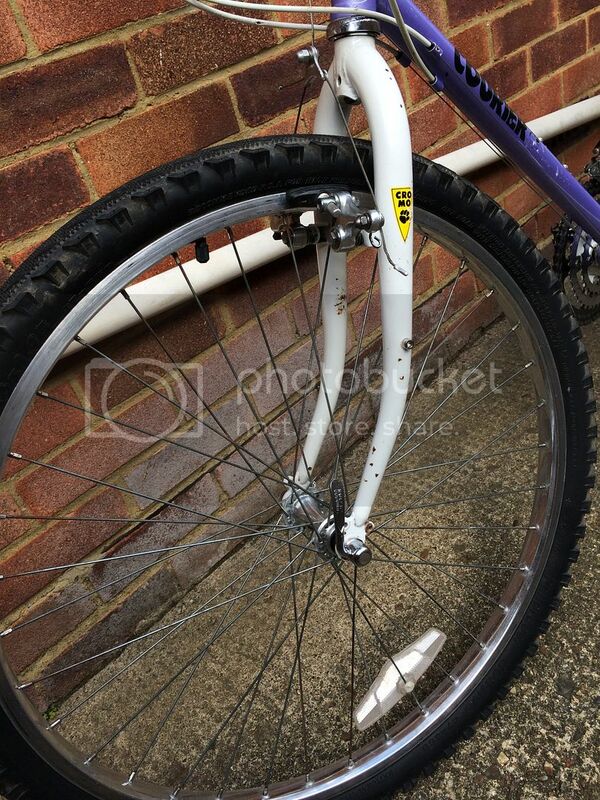 Original accept for the BB which is now a Shimano cartridge UN55, front and seat QR's which were too rusty to save, middle ring which is a Shimano Biopace, freewheel and chain due to being worn. The tyres will be replaced with tan walls. Here is just a few pic's since i got the Courier off minifreak as you'll have noticed it's now got some nice 2.1" Splash backs fitted which suit the bike better ..
Last edited by Muddy paw on Mon Oct 31, 2016 9:19 pm, edited 4 times in total. Not bad! 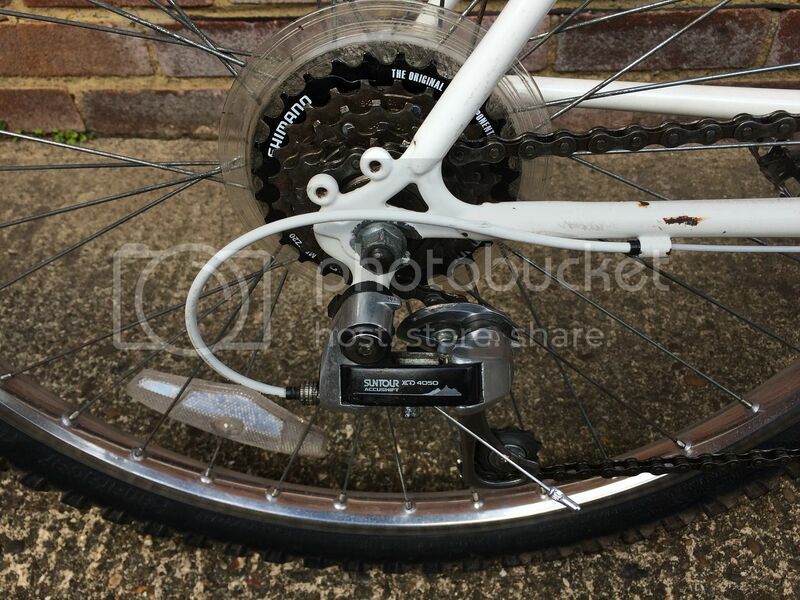 Like the Sugino cranks, bit different in white. Interested to see what you think of the Splashbacks as I'm really not keen having used them myself. 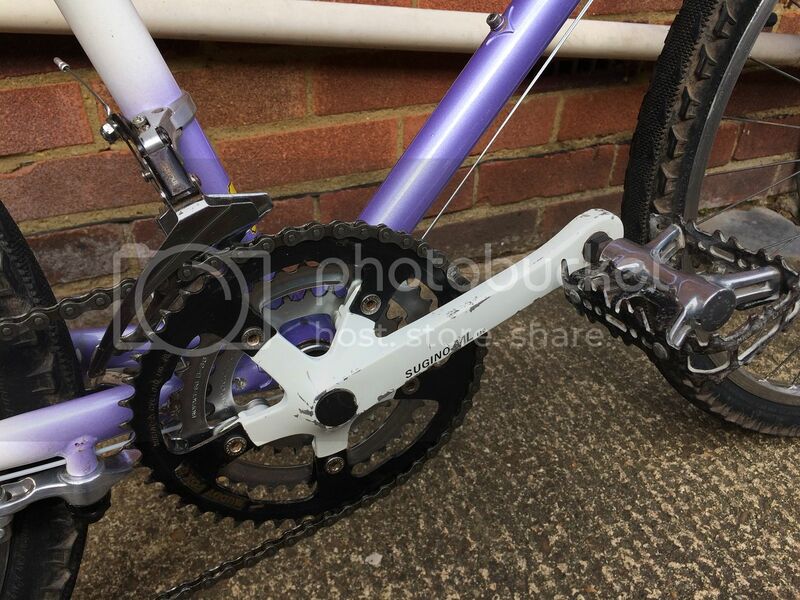 Thanks mate and yes i like the sugino and actually prefer them in the white tbh and i'm a bit of a fan on the old Suntour Accushift which was fitted to these bikes back in the 80s and these that are on the bike still feel really robust which is quite amazing for their age .. They make sense to me. Nice bike. 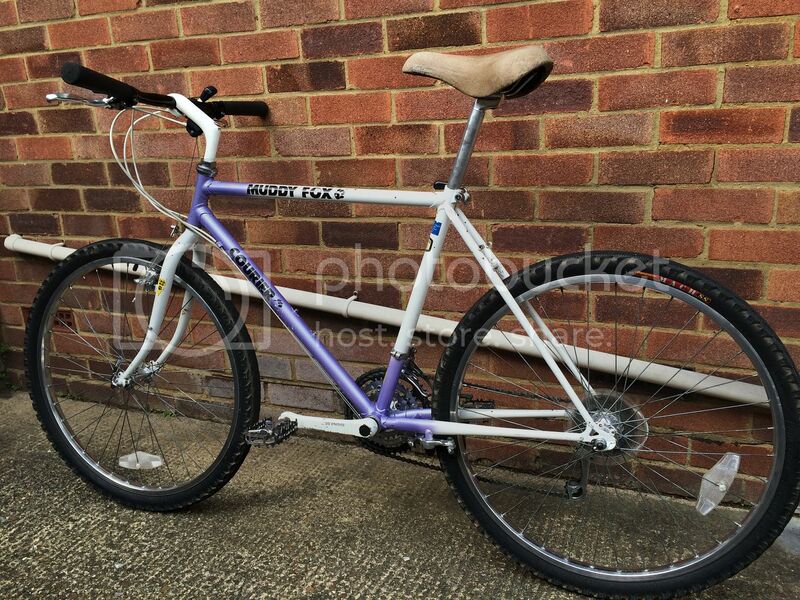 It is nice to get one of the bikes you would have loved as a kid, isn't it? I would have killed for a Muddy Fox. All I had was an Emelle 12 speed that was about three inches too big for me. I couldn't ride it. Great looking Muddy Fox Courier Muddy Paw,i always think there's something cool about the early Muddy Fox's they just seem to look write. 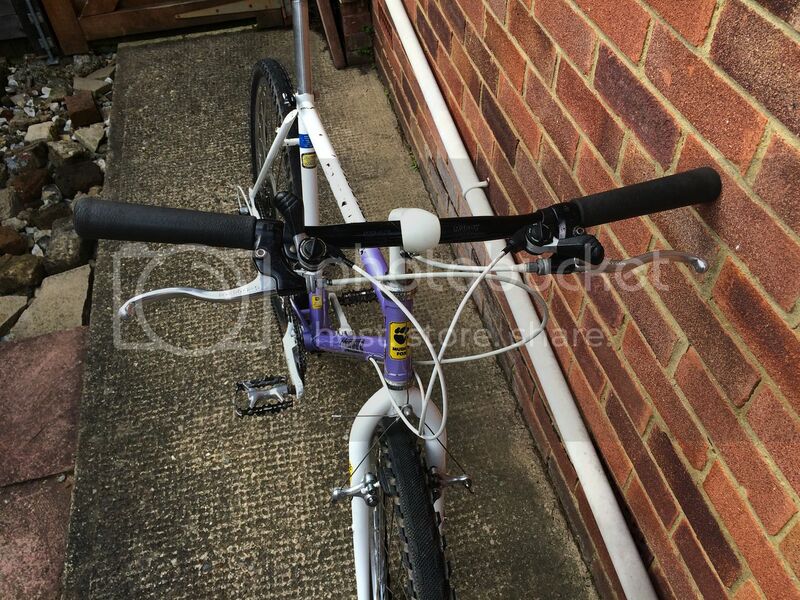 All you need for that is a new toptube sticker and it'll be sorted,i'd imagine Gil M would have those on file. Denton cycles up my way used to stock them and they used to have your bike and the Explorer in which was way out my price range. Well you may of been right refering to some one else but not this time K-rod as unlike some member's when i'm excited about a bike i own i just get a little carried away when i'm writing . 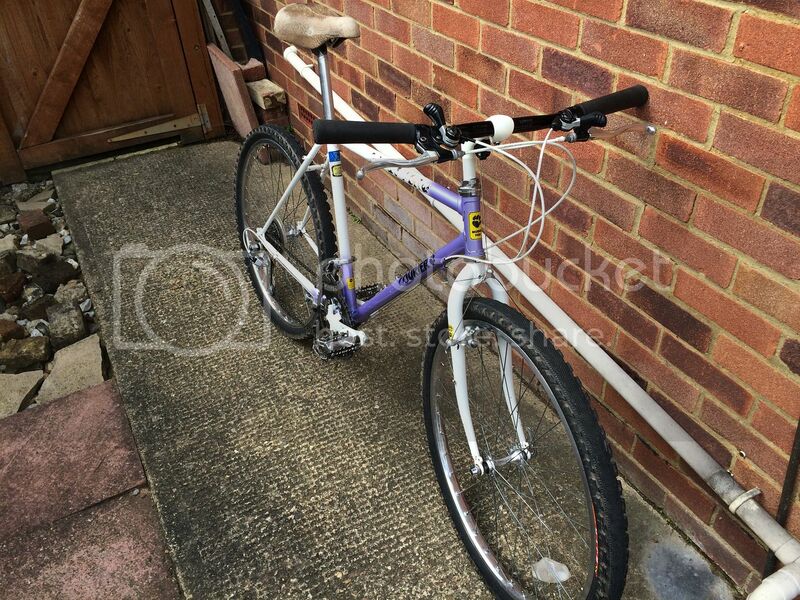 Thanks chris667 , i suppose it is nice to get a bike that you wanted as a kid but i was in my early 20s when i wanted one of these but i'd not long since bought a Muddy Fox Explorer so i couldn't afford a Courier .. 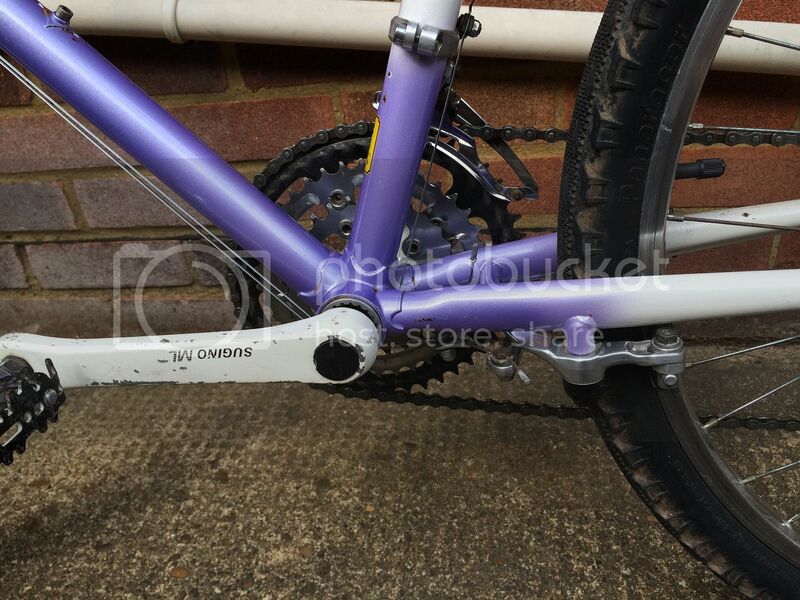 I can imagine you were really frustrated having an Emelle 12 speed especially it being that big as your parents obviously weren't that bothered about wether you could ride it or not .. Thanks Spanky much appreciated mate . 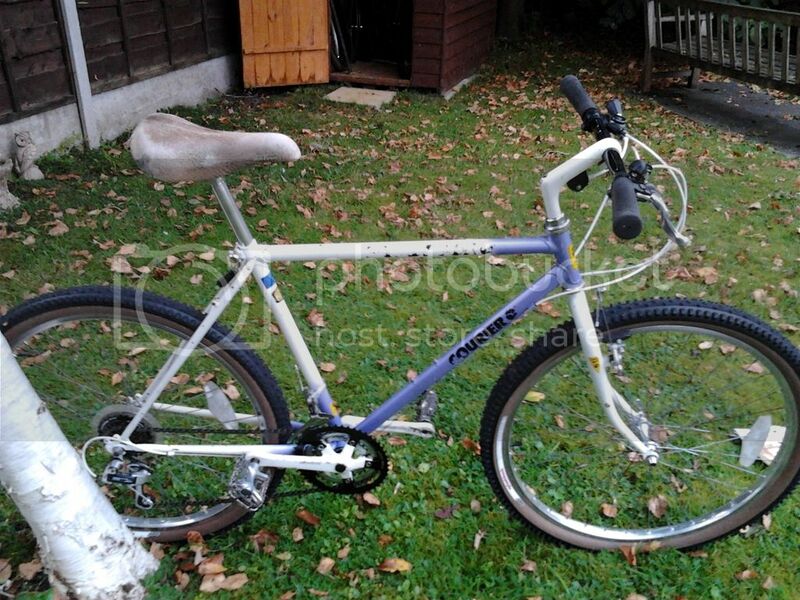 Yes i loved the Muddy Fox's from the very 1st time i saw a 1984 model Courier up for sale in a shop 5 miles up the road from where i lived and yes i bet you were gutted not being able to afford a Courier or Explorer bitd as i know i would of been if i'd of seen one when i was a kid but they didn't exist back then and i'd never seen a bike shop until i was 16 .. I do have the decals i need round the flat somewhere but i've not been able to find them since the Mr's did a tidy round earlier in the year as i got the decal's over 12 month's ago before i even new i was getting a Muddy Fox Courier but yes if i can contact gil_m i may just do so if i can't find my decal's . 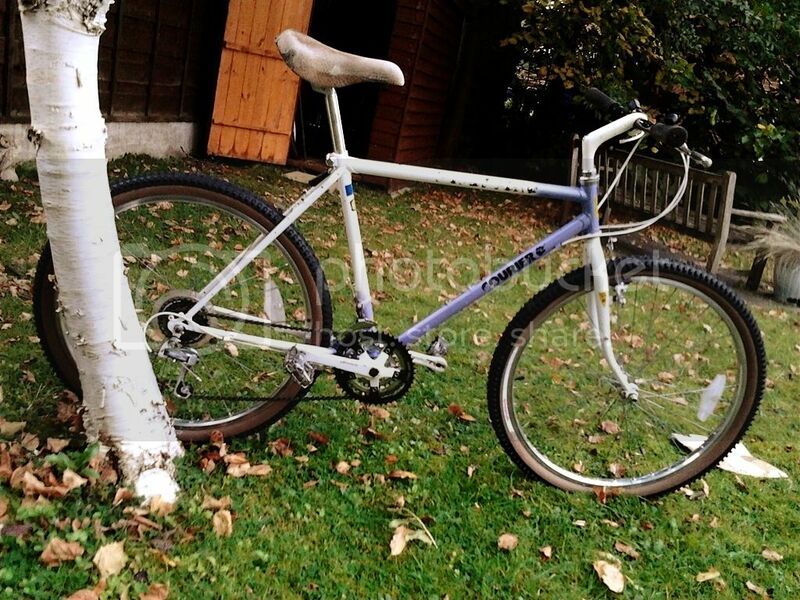 Yes smaller Explorer's do exist but they are quite rare these day's although i think my 1988 model was a 18" which i just found a tad big for off road use bitd but on road wasn't an issue and i still loved how it rode regardless were i went on it but i just wish i hadn't got rid of it .. Thank's Tim as you already well know by now just how pleased i am to have her and thank's to your help i was able to get out and enjoy my 1st ride as soon as i was fit enough so i very much appreciated all your help mate and course for finding her in the 1st place .. Yes finger's crossed next year will be a much better one as i wouldn't wish this one on anybody so i'm very much looking forward to gaining more grin's out on the Fox next year as i don't want to be riding it during the winter months as that's what my hack will be for when i start building .. 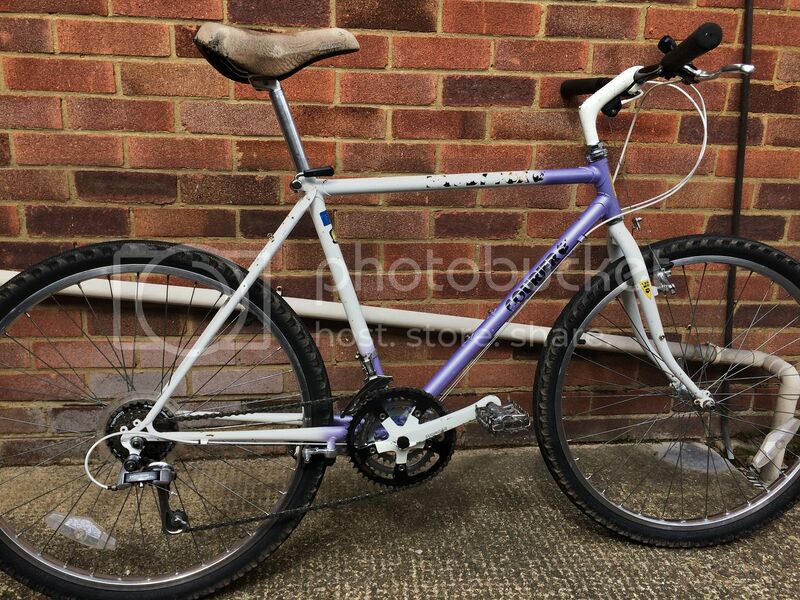 I'm hoping for some dry weather for the start of next week so i can get a move on with the Raleigh as i'm just itching to get it done as it's been on hold for way to many month's now and i'm eager to see it ready for the trail's ..